The ace British hip hop and electronica and dance groovers Stereo MCs are as savvy as any recording/live/production gang around. Raised in Nottingham and then fine tuned on the South London club circuit their alternative strains have mutated into the mainstream, rather they have informed it, this giving the lie to any notion that they permanently exist on the grungier margins. In fact the grown up kings of British rap have long been in demand for their remixing skills and Madonna is one satisfied customer, so are U2, OM Dawn, Queen Latifah, Disposable Heroes of Hiphoprisy, Monie Love and Electronic. Their ability to crossover from dance floors to rock festivals and their high entertainment values mean they have wowed audiences in massive arenas as well as from inside the DJ booth. Utterly unique and endlessly inventive at their craft they remain feted for their productions as Ultimatum. They also run a fine website with collectable goodies and show no signs of absenting themselves since DJ and live shows are planned for Spring 2015. Nick Hallam (aka ’The Head’), Rob Birch (aka ‘Rob B’) and Ian Rossiter (aka ‘Owen If’) shuttled down from Nottingham and Monmouthshire somewhere along the time space continuum to make sounds and hit the clubs. Their own position within the Gee Street Recording Studios set-up came about when they used end-of-lease monies to finance their nascent 12” efforts. Well versed in British underground club scenes in the North as well as the captal, and hooked into the New York hip hop movement the Stereo MCs released a classic EP on Island Records in 1989 with cuts like “What is Soul?”, “On 33” and the deep “Gee Street” combining expert sampling and rattling beats allied to infectiously uproarious vocals. 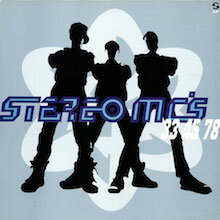 An album, 33-45-78, swiftly ensued and they were up and running. Despite recording for peanuts they managed to create a dense sonic attack with drum loops and rhythm tracks that sounded expensive. The breakthrough Supernatural (1990) took them from the Elephant and Castle to downtown New York City and the results are staggering. Here is where you will find the signature pieces “Lost in Music” (a #1 hit on the US Hot Dance Club chart), “Scene of the Crime” and “Declaration” as well as the important “Elevate My Mind” – the first British rap based track to crack the Billboard Hot 100. Drifting their dope beats in and out of samples by Sly and the Family Stone, or simply heading out to South London club grooves, this album nails it from the outset and is completely recommended today because it hasn’t dated one iota. Better still fir the boys their third album is Connected, and it’s a multi-coloured delight that will snaffle the Best British Album at the 1994 Brit Awards and be Mercury Prize shortlisted. It’s a bona fide gem. Working with their stage accomplices Veronica Davis and Andrea Groves they start moving in and out of acid jazz with a phat side order of trip hop but still retain their lean, mean trademark sound. The title track samples a KC and the Sunshine Band offshoot project, one Jimmy “Bo” Horne, “Step It Up” becomes their biggest UK hit and “Creation” keeps ‘em bubbling for a further year. Guests include Mica Paris, Cath Coffey and the Kick Horns brass section. This is a very classy disc that is totally recommended for discovery now. After the independently financed project DJ-Kicks remix album (2000) our heroes make a long overdue return with Deep Down & Dirty. Birch and Hallam put aside their “burnt out” differences and regrouped to make a millennium statement of intent disc that was unfairly overlooked on release but needs re-evaluation. We also have the Retroactive compilation that covers all the obviously relevant ground and the Live at the BBC stalwart with sessions galore. We are very proud to point you towards the masters of the decks and pioneers of innovation in their pomp on the 10-disc box set Collected. This 9CD+DVD set is effectively the entire studio recordings of the band and features all their albums (remastered) plus additional discs of remixes and unreleased material plus rarities and Unheard Treasures. The albums within this set are as follows: 33 45 78 (1989) - Supernatural (1990) - Connected (1992) - Deep Down & Dirty (2001) - Paradise (2005) - Double Bubble (2008) and Emperors’ Nightingale (2011) – plus the extra goodies. And nope it isn’t excessive when you remember that Stereo MCs are revered amongst the heavyweights of the US hip hop scene, where prisoners are seldom taken. What they give out is great productions from a proper band whose lyrics also betoken the gritty estate culture that spawned them. Whatever, they’ve come a long way from a small studio on the Old Kent Road. Let the Masters of Ceremony reign again. Time to get Collected and connected. 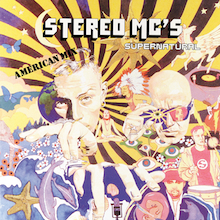 Stereo MC's' American breakthrough is an energetic, club-oriented collection of colorful, funky dance tracks -- the raps almost seem like an afterthought, yet that doesn't distract from the sheer pleasure of their sound. The only thing that separates Supernatural and its hit follow-up, Connected, is that Connected had a hit. Otherwise, the albums are nearly identical and are equally enjoyable. 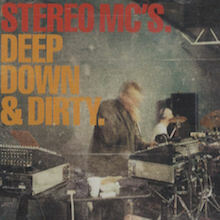 In 2001, several years after any listeners could've expected a follow-up to 1992's Connected, Stereo MC's finally delivered with Deep Down & Dirty. 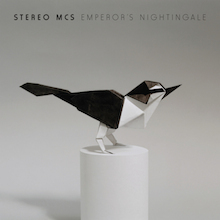 It's a tribute to how far ahead of the curve Stereo MC's were ten years earlier that Deep Down & Dirty never strays far from the spirit of Connected, but still sounds perfectly up-to-date for 2001. It's clear the productions are more mature and more complex, but they still plumb the depths of deep-groove beatbox funk, with nods to soul-jazz and gospel. Still tossing out lines with the half-assed cool of Shaun Ryder or Ian Brown, frontman Rob Birch doesn't rap quite as much as he used to (that's a good thing), and the productions are a tad more down-tempo and dubby than when the band was at its most clubbed-up in the early '90s. The title-track opener sets things off in fine fashion, working a stuttered mid-tempo groove with split-second snippets from the horn section and a full-throttle vocal backing. In true soul tradition, the upfront mover "Graffiti, Pt. 1" segues into a bongo-led "Graffiti, Pt. 2." Birch even sends up his slacker-cool image on "Sofisticated," a groovy piano-and-beatbox number. Along with Birch, producer Nick Hallam (aka the Head) is the other key to what makes Deep Down & Dirty so much fun, packing his productions to the bursting point with dusty beats, lines from old Hammond organs, and samples of bygone soul shouters. Despite a few traditionalist, anthemic tracks ("We Belong in This World Together," "Running") which don't work as well as they would've in the heady days of 1993, Deep Down & Dirty is a solid record that reveals no trace of cobwebs from Stereo MC's long hiatus. This has a more upbeat feel than any of their other releases - it has a more funky/soulful feel than before but rather than watering down the essential stereos sound it complements it - the rob birch vocal still under control. An excellent album that hasn't been off my stereo for a while now. I bought "Deep Down" with high expectations and desperately wanted to like it - and while it was good it just sounded a bit half finished (which after an 8-odd year gap makes you wonder...) This album is what they should have come out with - buy it, simple. 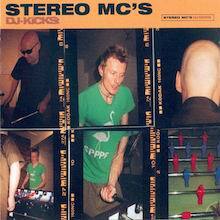 Eight years on from their last LP, Stereo MC's returned not with a studio work but a mix album that shows their long career in a new light, as not just one-hit wonders but breakbeat renegades who've been searching for the perfect beat -- both as recording artists and as label heads -- for over 15 years. DJ-Kicks trips back and forth between beat-heavy cinematic music from the '70s, rap from the old-school to the new-skool, and trip-hop from producers who, just like Stereo MC's themselves, take the template of breakbeat music down new paths. Truth to tell, though, there'd been so many similar mix albums released in the previous few years that it wasn't difficult to believe the bottomless well of obscure, funky music was just about tapped. Fortunately, Rob H. and Nick come through with a lineup of widely varied artists and crucial tracks. Most of the instrumental highlights are obscurities like "Back to the Hip Hop" by the Troubleneck Brothers, "Do It Do It" by the Disco Four, "Moon Trek" by the Mike Theodore Orchestra, and a surprisingly chilling track by 101 Strings titled "Flameout." The rap tracks are solid too, including old-school heroes like Kool G. Rap & DJ Polo ("Road to the Riches") and Ultramagnetic MC's ("Poppa Large"), as well as more recent artists from the growing hip-hop underground like the 57th Dynasty ("Pharoah Intellect") and Divine Styler ("Tongue of Labyrinth"). Another highlight is the new, three-part track "Rhino" produced by Stereo MC's. Fitting in well with the album itself, "Rhino" is an old-school groove number with heavy drums and Hammond keys. 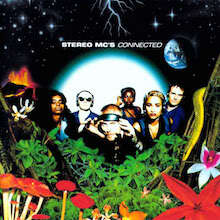 It's easy to wonder if Stereo MC's even have any fans left from the days of Connected, but this mix album might gain them a few. 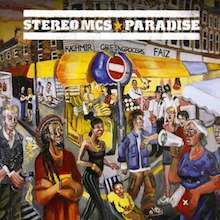 In their heyday, when they were the darlings of international hip-hop and really the first significant British rap artists, the Stereo MC's found themselves in rarefied company, sharing stages with everyone from U2 and Living Colour to Jane's Addiction and De La Soul. But it's not 1993 anymore, and over the years the Stereo MC's have gradually shrugged off the strictures of hip-hop orthodoxy and become a genuine pop group. On Emperor's Nightingale their sound is still informed by their hip-hop past, but much more so by their years of remixing and exploring other beat-based genres. On this album, vocalist Rob Birch sings, almost exclusively. (Only on "Bring It On [Path to the Mind and the Soul and the Spirit]" does his singing start to resemble rapping in any real way.) The duo's new style is not exactly forward-looking -- squidgy synths and glistening electronic percussion predominate -- but it's certainly accomplished and self-assured, and at its best the results are truly impressive. "Boy" is a gorgeous slab of old-school electro-pop, with a chorus the Pet Shop Boys could be proud of, while "Manner" and the especially funky "Far Out Feeling" start creating a more individual sound that could develop into something new and significant. Best of all, though, is "Desert Song," a soca-flavored dub-funk workout that closes the album on a high note. If they keep moving ahead in this vein, things could start getting very interesting again.